The title of coldest planet has not passed to Neptune because the controversial IAU decision remains contested by many planetary scientists, who do consider dwarf planets to be a subclass of planets. This was the intention of Alan Stern, the person who first coined the term “dwarf planet.” Pluto may not even be the coldest, as distant Eris and Sedna might be even colder. We need to send flyby missions to these planets to learn more about them. How expected, Laurel. And whether or not a designation is controversial (if only to those who disagree with it) does not mean it does not apply. And as for “many scientists”, Alan Stern and Paul Rincon do not constitute “many”, and their objections are easily countered. 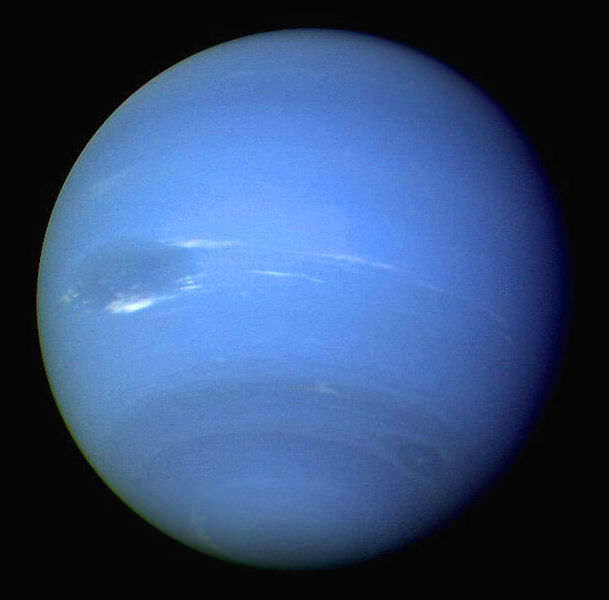 Whether people like it not, Neptune remains the 8th and outermost planet of the Solar System, and therefore worthy of being called the coldest. When did “coldest body” start meaning “coldest major planet”? Eris, Haumea, and about a thousand other KBOs want to have a word about calling Pluto the coldest, too. The title plainly says coldest planet. None of the KBOs are planets, and therefore don’t apply. Maybe you ought to read past the title. The term “frigid body” is used humorously, sir. I thought that was obvious, clearly I was wrong. Its amazing how all the conditions for life on earth are just perfect. Its perfectly placed in the Milky Way galaxy to protect us from radiation. The earth is just the right distance from the sun, any closer it would be to hot for life, and any further it would be to cold. The earths tilt helps regulate the temperature across most of the planet. If the tilt were increased, summers would be to hot and winters to cold. If the tilt were decreased, the equator would be to hot and the poles to cold. The earths mass determines the strength of its gravity, and is big enough to hold onto life sustaining gases, but not so big it becomes a toxic, gaseous giant like Jupiter. Earth is just the right distance from the sun for water to flow as liquid. Three quarters of earth is covered in liquid water. If earth were much closer to the sun, all the water in all the lakes, rivers, ponds, rivers, and oceans would evaporate. If the earth were much further from the sun, all the water would freeze. Earth has just the right chemicals for life. The earth has a large moon which keeps oceans from stagnating. As the moon orbits, its gravity pulls on the oceans causing them to rise and lower. The sun pulls on the oceans creating a second tide. A combination of the sun and moon stir up the oceans. Some say this is by “Design”, some say were just lucky. Why is that amazing? Since we exist, we *have* to be inhabiting a place suitable for us to live. What’s more amazing is that the laws of nature are such that *any* habitable places can exist at all. My point exactly, thank you! The sun (a gas/plasma giant) is surrounding by rocky bodies, four to be exact, and then an asteroid belt. then, the other gas giants of our solar system begin to paint our system, four of them, to be exact. following neptune, rocky bodies again, start to encase of system and eventually another asteroid belt!